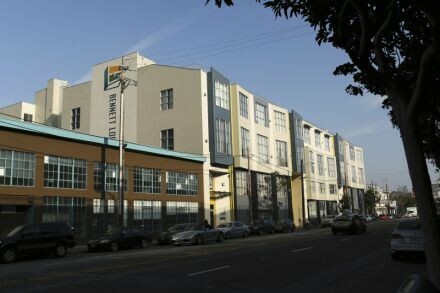 THE Infocomm Development Authority of Singapore (IDA) is making a big push for its venture capital arm, opening a new office right smack in the hotbed for technology startups in San Francisco's South of Market (SoMa) district. Signalling a change, IDA on Wednesday challenged the 100-odd guests from the San Francisco Bay Area tech community to come up with innovative solutions to analyse the more than 8,000 open government datasets, as Singapore strives to become a Smart Nation. The dream is to use information and communication technology infrastructure to enhance the lives of its citizens as well as help businesses and government improve their operations. At the opening of the San Francisco office for its investment arm, Infocomm Investments Pte Ltd (IIPL), Steve Leonard, IDA executive deputy chairman, unveiled plans to foster new technology talent. He also extended its US$200 million in funds to all tech startups that can add value to Singapore's Smart Nation initiative in areas such as health care, city planning, mobility, security, urban living and citizen-centric services. IIPL, which has been in Silicon Valley since 2009, also aims to invest in startups that have an interest in expanding into Asia through Singapore. "To reach its Smart Nation goal," said IDA and IIPL in a joint statement, "Singapore is building a technology ecosystem driven by a cultural mindset of experimentation and collaboration that strives to tackle important global challenges all countries face. The data includes public transportation commuter patterns, bed occupancy rates in public hospitals, common health problems, air quality, household electricity consumption and other societal and cultural trends in Singapore. Curated ideas that make best sense in the Singapore context and have the potential to scale will be considered for possible trials in Singapore. They could then be scaled globally to tackle challenges in other cities. IDA also plans to collaborate with General Assembly, the global educational institution that is fostering a new technology community consisting of professionals seeking to start a new career. The company is well-known for programmes which equip non-tech students, including those seeking a career change, with relevant 21st century workplace skillsets that enable them to be employed. "Some of South-east Asia's and the world's most innovative businesses and tech leaders spring from Singapore, so it is natural to expand there to help enable new innovation," said Jake Schwartz, General Assembly co-founder and CEO. The Business Times understands that General Assembly is looking at possibly setting up in Singapore sometime in the second quarter of 2015, making the office their first in South-east Asia. IIPL's new office is part of Block 71 San Francisco, an initiative shared with NUS Enterprise and Singtel Innov8. Block 71 San Francisco gives opportunities for US-based entrepreneurs, companies and investors to find out more about Singapore and other emerging trends and business opportunities in the huge and growing Asian markets. Singapore-based tech companies with interest to expand into the US market can also leverage this facility to better understand the market, set up shop and expand their network into the US tech community.